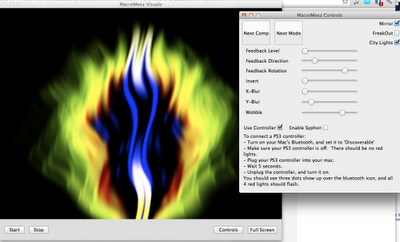 One of my good friends, recently hooked me up with an alpha version of his visualizer app for Mac. Macro Meez is a mac app ( it works smoothly on my OS X Lion). 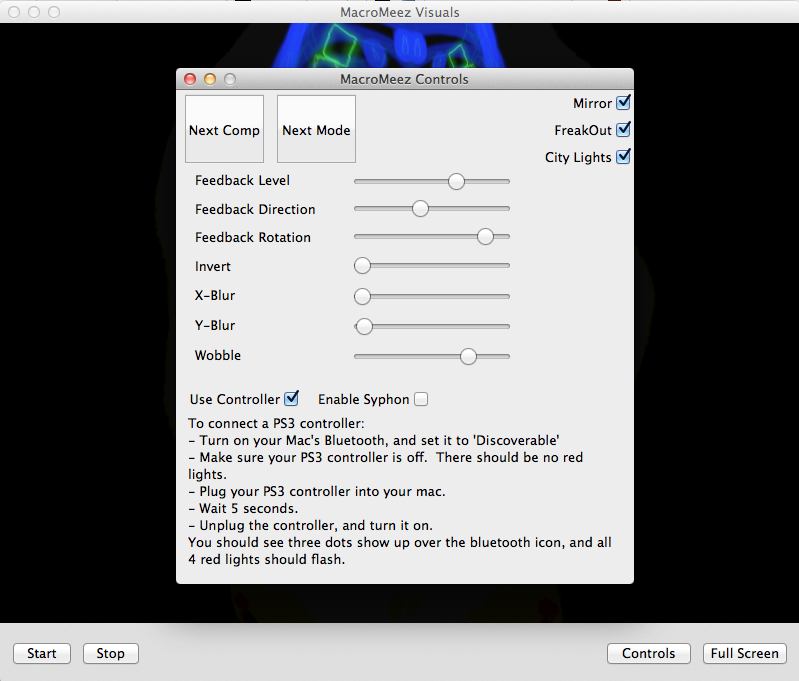 The app allows you to control and play with the vizualizer. 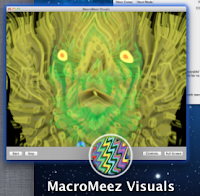 It comes with some 16 awesome vizualization patterns that you can flip through. You can also control several parameters on each of the patterns. Most importantly, the app supports being controlled by a standard Play Station 3 wireless controller. 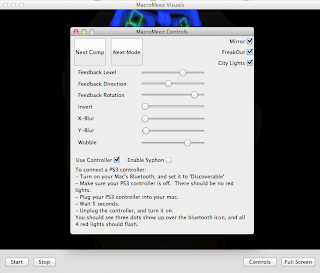 Just plug in the USB cable into the Mac (while running Macro Meez) and if your Mac's BlueTooth is set to Discoverable the PS3 controller will automagically sync up and let you drive the vizualizations. The combinations of the 15 patterns, and all of the parameter tweaks leads to what feels like infinite unique light shows. Just try it, its beautiful light !